Looking for a new job, or hoping to advance academically? Check out the new resume templates at my site InstantResumeTemplates.com. There are now 356 sample resume templates that range from general to specific designs. They’re completely free to download, customize, print, and use in your pursuits. The new additions include professional resume designs for someone seeking an apprenticeship, a federal government job, a worker with only one employer, a theater resume for an actor, and a resume for teens. In addition to the new basic resumes at InstantResumeTemplates.com, there’s also now a design with an “about me” statement, a version with affiliations listed, a resume with pay history, a resume with soft and hard skills, and one with room to indicated career highlights. There’s also a new resume with hyperlinks, one with bullet points in a sidebar, a three-column resume, and resumes with a black and white or color border. 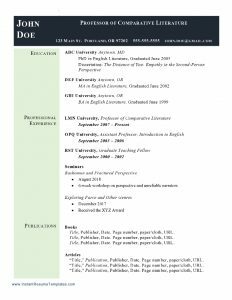 New academic resume styles include a resume in anticipation of graduation and one listing published works. InstantResumeTemplates.com also has templates for job objectives and skills matrixes. The site has cover letters that match the resumes, and there are even more cover letter designs at CoverLetterExamples.net. For letters of recommendation, head to LettersOfRecommendation.net. Download any template instantly in DOC format and use Microsoft Word or another compatible program to type into a resume and customize it to suit your situation.